TonePrint Editor, Other Music Software from TC Electronic in the TonePrint series. 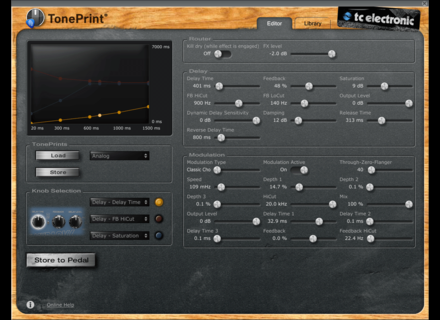 TC Electronic announces the TonePrint Editor, a free software that let guitarists and bassists to craft their own version of a TonePrint effect. The Toneprint Editor allows guitarists to build their own custom version of a Toneprint editor from the ground up, from sounds to the range of knobs and everything in between. With a slider-based UI, realtime changes and storing of sounds allow guitarists and bassists alike to craft the sounds they want. 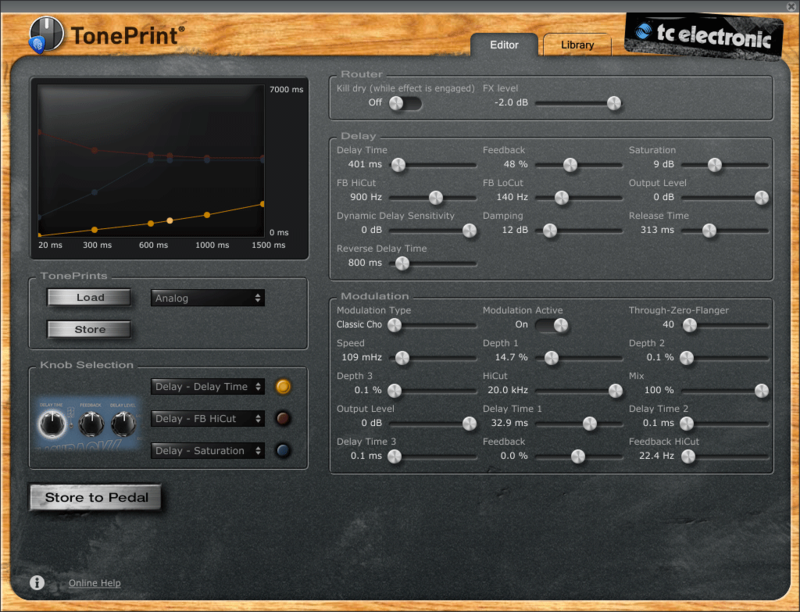 The TonePrint Editor will be available during Q1. More info on www.tcelectronic.com/toneprint-editor/. [NAMM][VIDEO] IK Multimedia new products The Audiofanzine team did not miss the pre-press day at NAMM and met the IK Multimedia team for a presentation of their new gear. [NAMM] Alesis introduces the Q88 NAMM 2013 visitors will have the opportunity to discover tomorrow the new 88 semi-weighted Q88 USB MIDI Keyboard. [NAMM] Arturia MiniLab controller French manufacturer Arturia introduces at NAMM 2013 the new MiniLab MIDI USB controller.